The U-boat is attacked by American torpedo bombers off the Bahamas and sunk. Kristin finds herself in a lifeboat with three others including Bern Munkelt, the man she is to spend the rest of her life with. They are rescued by Danardo Rolle and taken to Little Toe Cay, a remote island where Kristin’s adventures begin. 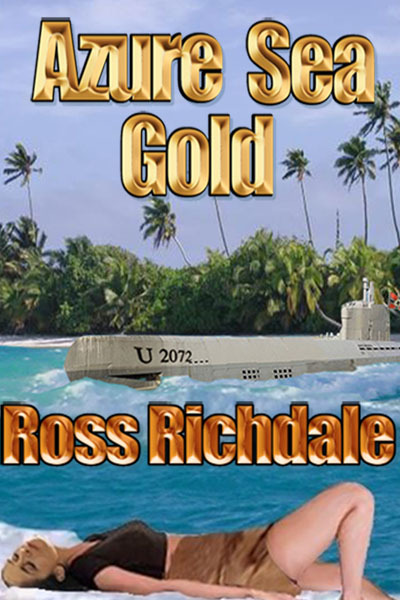 “Azure Sea Gold” is an adventure, a love story and the story of greed, jealousy and ruthless people as well as a family story centred around three generations of women and their loved ones.